After a hiatus that has lasted nearly three years, Tullycraft has begun the process of recording a new album. It’s been a long time since we’ve recorded a record, so we’re currently trying to remember how to do it. More details will follow as the process moves forward. Thanks for listening! Tweet of the Day	In the studio! Can’t even tell you how excited I am!!! This will no doubt be worth the wait. More fun in the sun and more ridiculous pop culture references please! Also, bring back mp3 of the day, pals! 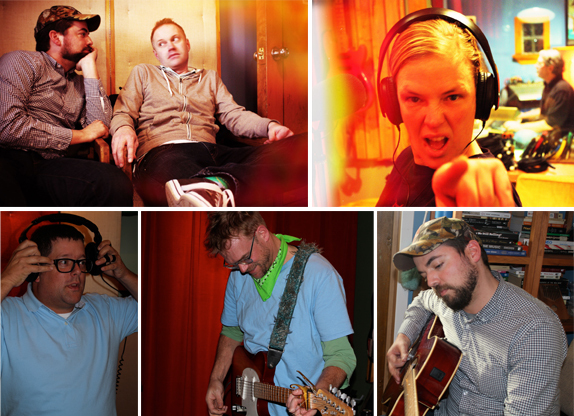 The Brilliantly Happy and Fun band who I totally, like, ♥, Tullycraft, have announced they are recording a new album. This is brilliant news. Hurrah! This is great news!! Thank you Tullycraft! I agree with Robin, please bring back the mp3 of the day. I used to love reading the daily blog. Things just aren’t the same without it.